In a clever turn, the music group Everyone Moves Away printed on their Facebook band page a rather revealing insight into what makes their music speak so beautifully and effortlessly to the humanity in all of us. For the “Location” section on their profile, they simply put: Earth. Now, I’d like to take the occasion to conduct a brief exploration of their most recent work, aptly titled II. For all the overwhelming intensity and spirit evident in their freshman project, II delivers power and feeling that only furthers the band’s firm command over musical and poetic effort. “Waiting for Futures” – The EP opens on an almost dizzying array of atmospheric sound, pulsating in and out to introduce the tone of the whole album. In effect, we are invited into a spiritual space, a devoted study of hope and melancholy that escalates dramatically as Chris Small, the frontman, lyrically unravels the beautiful chorus: “All we have is falling / What are you waiting for?” With this incredible opener, EMA shares the emotional richness of wistful yearning and passionate feeling, captured in a brief, yet moving lyric. A personal favorite. “Collide” – A more pop, upbeat number, “Collide” takes the heart of the first track and transmutes it to a young, anthemic dance hit. Yet, for the stark contrast, the music doesn’t lose its sense of continuity. The song’s primary focus is on the steady beat as the guitars and Small’s vocals soar over the march, quite an artful choice to combine a pounding rhythm with lofty, elongated lyrical phrases. “The Pale Star” – The shortest track on the record, this song distills the solemn and pensive moments of EMA’s sound and creates a small but lovely “miniature epic.” To the film reel of II, “The Pale Star” is a simple snapshot, a moment. “With the Night” – Considering the full force and broad appeal of the song, “With the Night” seems to open with a sort of false start, a promise that the track will deliver a slow and soothing ballad as Small calmly drifts through the verse. Then, all promises break as he calls out to herald the chorus and the drums respond: “So what do we whisper now? / I can tell we’ve lost control / The sun is going down on us / We’ve never found ourselves so sure / Love is lost with the night”. Featuring a spoken-word piece (delivered by Small) during the bridge, “With the Night” is perhaps EMA’s most eclectic and surprising track to date. “Everything” – “Everything with my eyes closed / I can see you come alive / And with our eyes closed / I can feel the sun” So concludes the beautiful quest. Small has led us through dream and memory, futures and sparks, and here we experience a wondrous resurrection as we “come alive” through the power and transcendence of music: “When we wake, we aren’t the same / Are we a dream inside the sky? / And everything that we can see is everything close to me”. The final phase of the song, and indeed the endnote of the record, is a glorious bursting forth of voices and instruments, electric and vibrant, loudly pulsing to a close as we are left singing along, with our own eyes closed, fully alive. 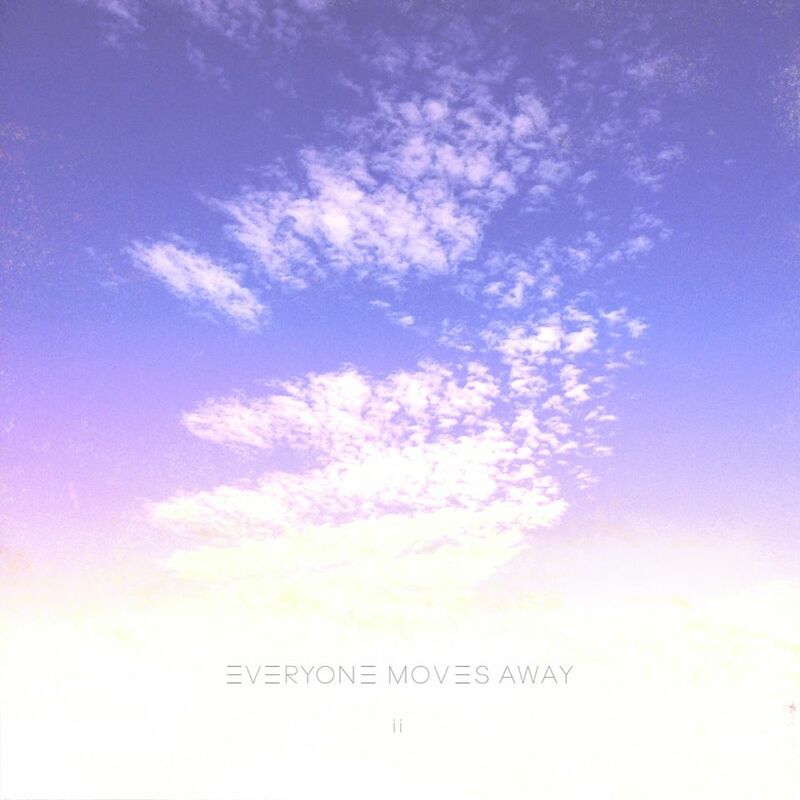 Everyone Moves Away’s music can be found on iTunes, Spotify, and on their website. 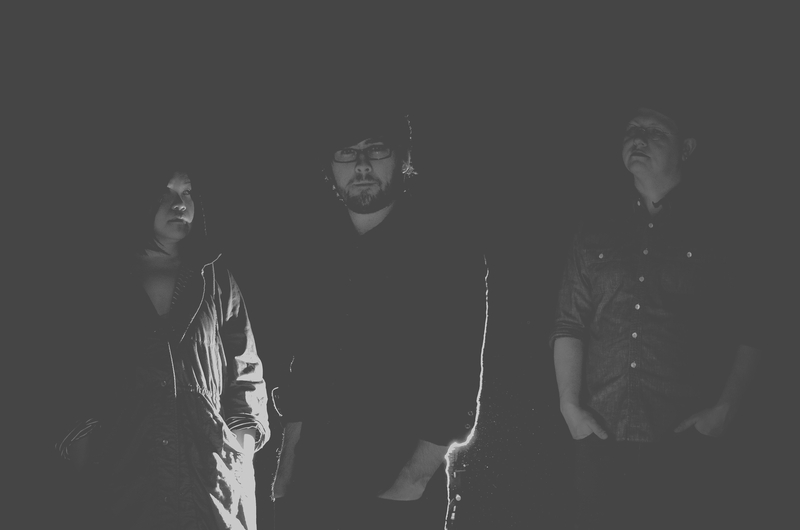 EMA is comprised of Chris Small (vocals, guitar, keys), Melissa Mattey (keys, vocals), and Tony High (keys, drums, percussion).